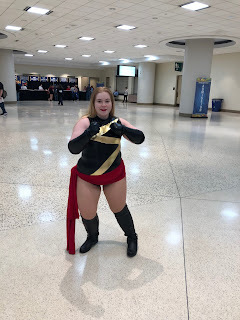 The first outfit that caught my eye was an old-school Ms. Marvel AKA Captain Marvel. 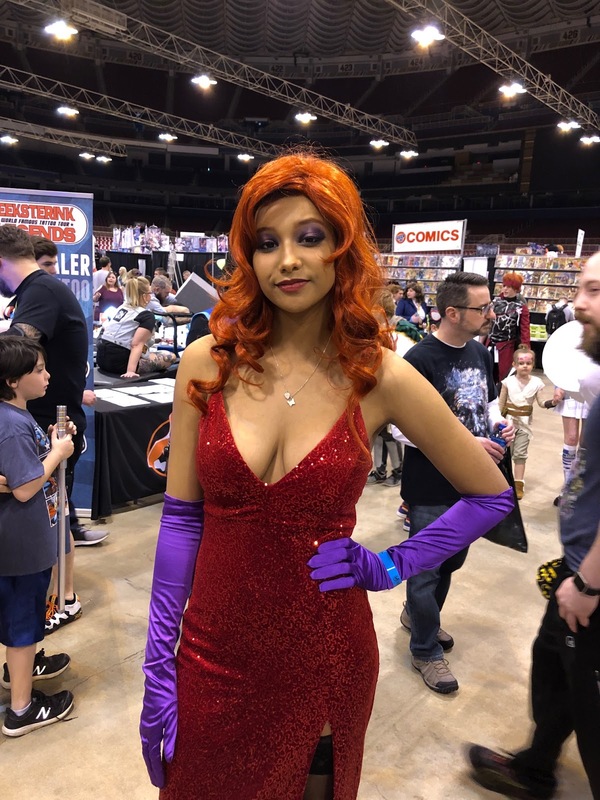 The cosplayer was named Danielle and also shared her Instagram with me to tell everyone so folk can follow her, djbg365. 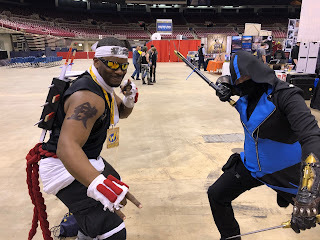 Two ninjas were polite enough to stop their brawl so that I could snap a pic. 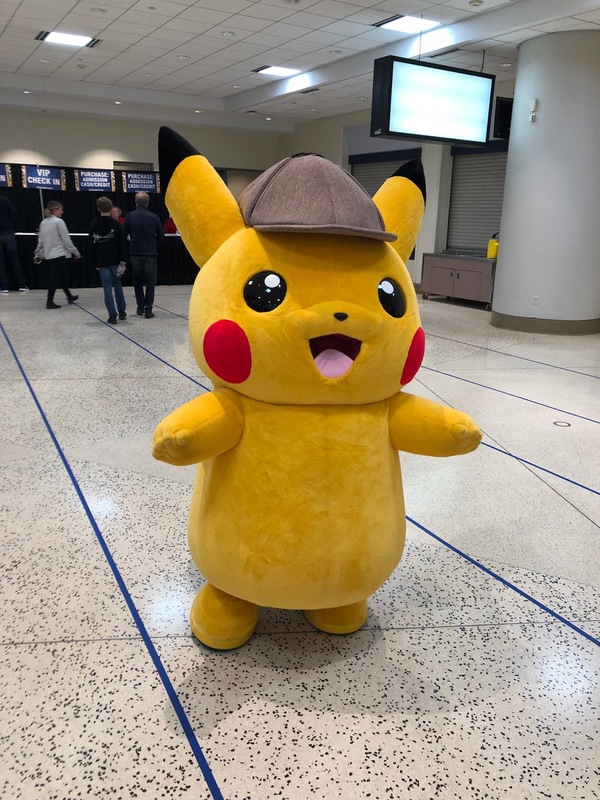 I ran into not just Pikachu, but the famous Detective Pikachu! 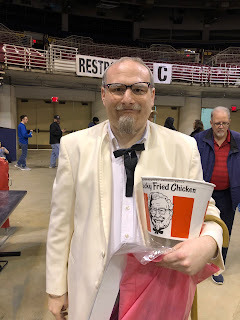 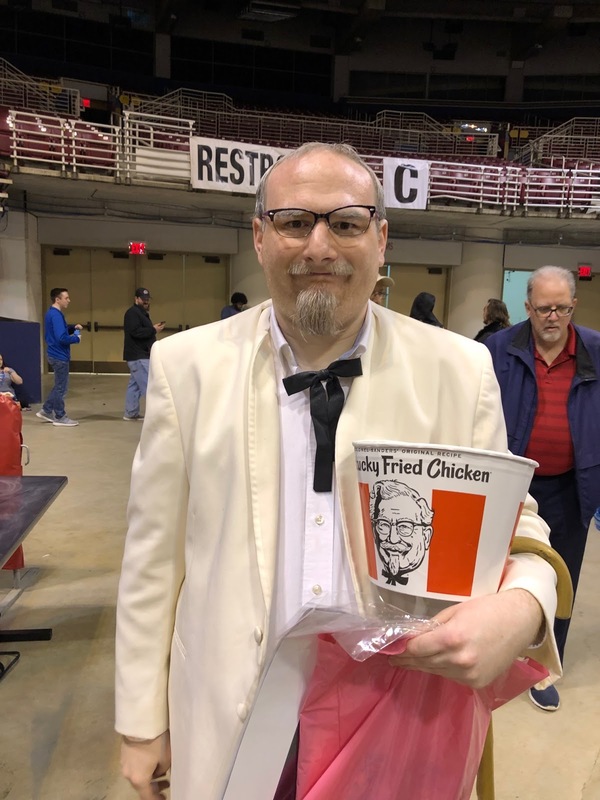 The Colonel was present, KFC bucket in tow. 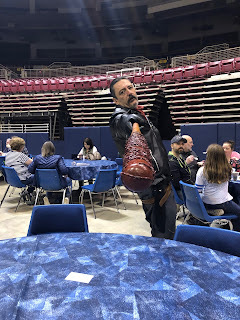 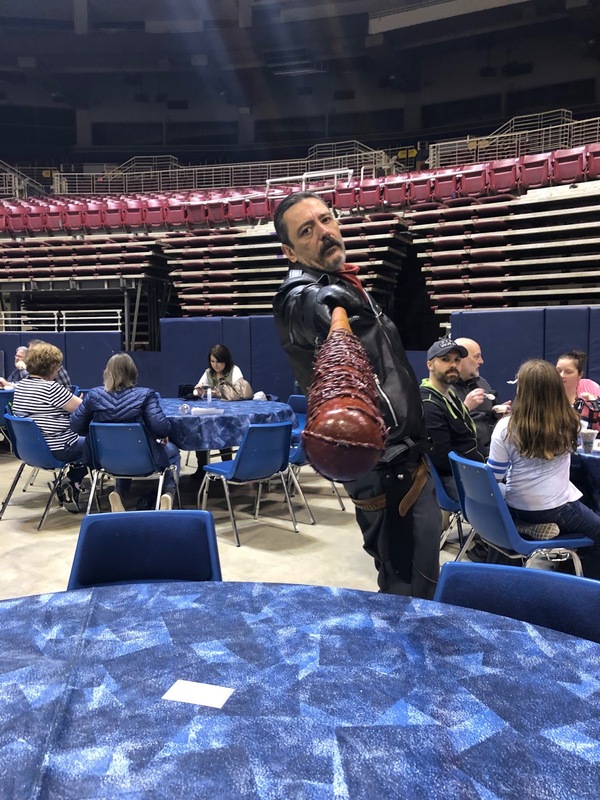 When I was sitting and having a snack I found myself on the wrong end of Negan's infamous Lucille (I'll read or watch, "The Walking Dead," one of these days)! There was a couple cosplaying as Deathstroke and the Riddler--the gentleman did indeed have an eyepatch when he took the mask off so it was very authentic! Jessica Rabbit actually asked a friend of mine cosplaying as Doctor Strange to take his picture with her, and then was kind enough to pose for a picture for me! I'm thankful I wasn't committing any crimes, as this Rorschach (of, "Watchmen," fame) was extremely imposing thanks to his mask actually having the black-and-white imagery move with a special, "heat-sensitive ink." 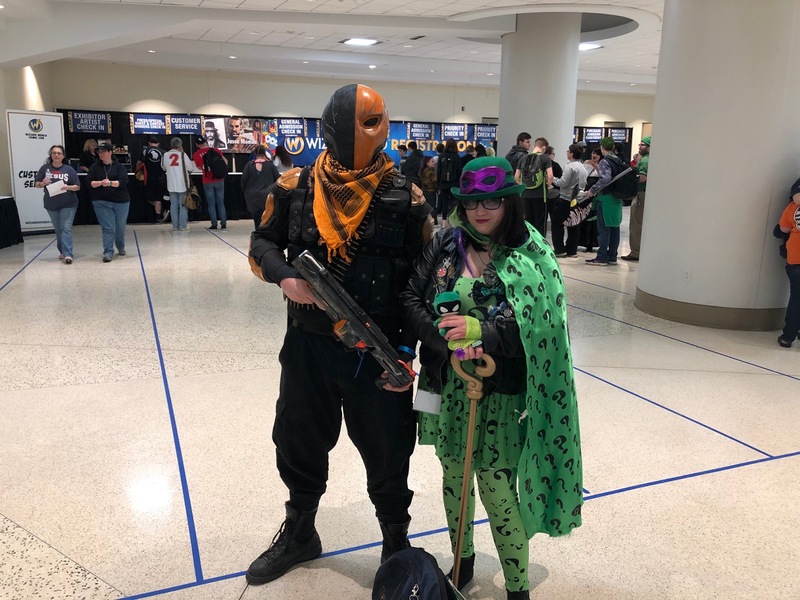 It was fascinating and disorienting, something the actual Rorscharch would probably readily approve. 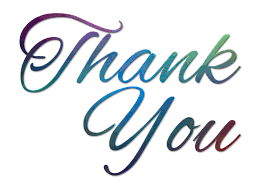 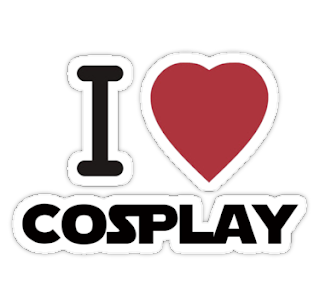 Thanks again to the attendees who were cool with me taking photos and talking about how cool their outfits were. 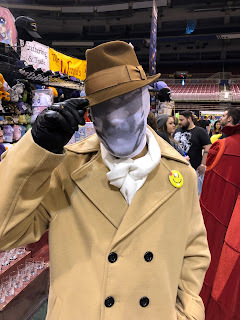 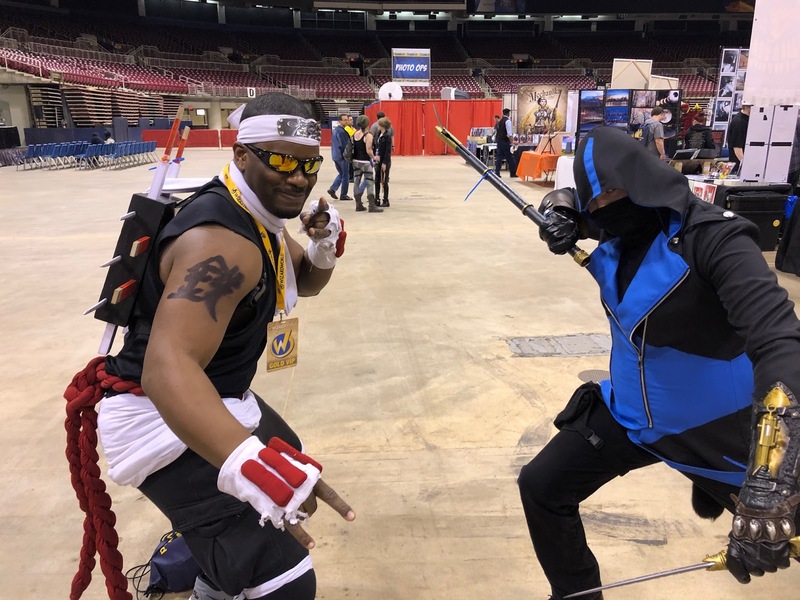 I myself don't cosplay often (I've been Moon Knight on occasion, but rarely) but always love seeing the dedication of those who do.